On April 14th a new exhibition of the Association MultiArt Eivissa (AMAE) was inaugurated. AMAE is an insular, plural and open association that brings together artists from different tendencies of the island. 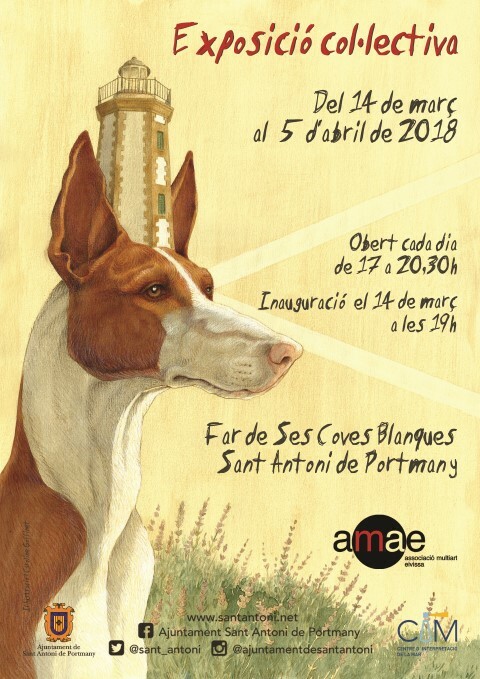 This exhibition includes almost 40 artists of different disciplines and styles and is located in the lighthouse of ses Coves Blanques, in Sant Antoni de Portmany. There you can admire works of both painting and sculpture, from figurative art to abstract. Some of the participating artists are Adolf Aymat, Ana Mendo, Antonia Martin, Richard Sturgess, Elvira Escandell, Eustaquio Carayol, Antonio Arco, Ana Jakimow, among others. It will be open every day from 5 pm to 8:30 pm, until next April 5th.